As SXSW approaches, my life has been feeling more and more surreal. I can’t believe I’m receiving so much support just for talking about the games and cartoons that shaped my life! The most recent surreal moment came this past Thursday while I was hanging out in a coffee shop in Cincinnati before a show (after a photo shoot) and the homie Mega Ran shared the news that I was in the Austin Chronicle. 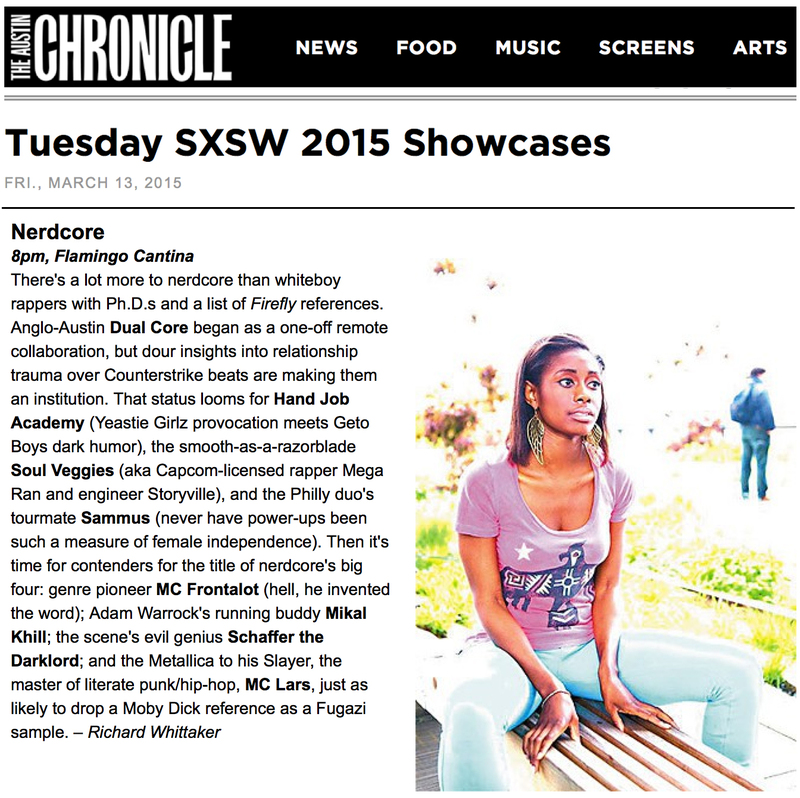 That’s right, according to the Chronicle: “never have power-ups been such a measure of female independence.” How fresh is it that a black woman is sitting pretty as the face of nerdcore at SXSW (at least according to the Chronicle)? Check out the full write-up here and then make sure you plan to come see it all go down on Tuesday!